It's nice to meet you. 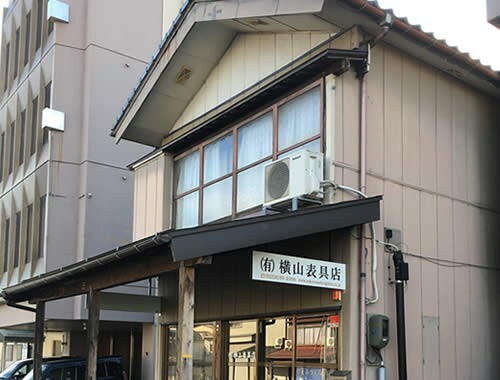 I am YOKOYAMA Koichi,owner of the Yokoyama Hyogu Shop. Thank you for visiting our website today. 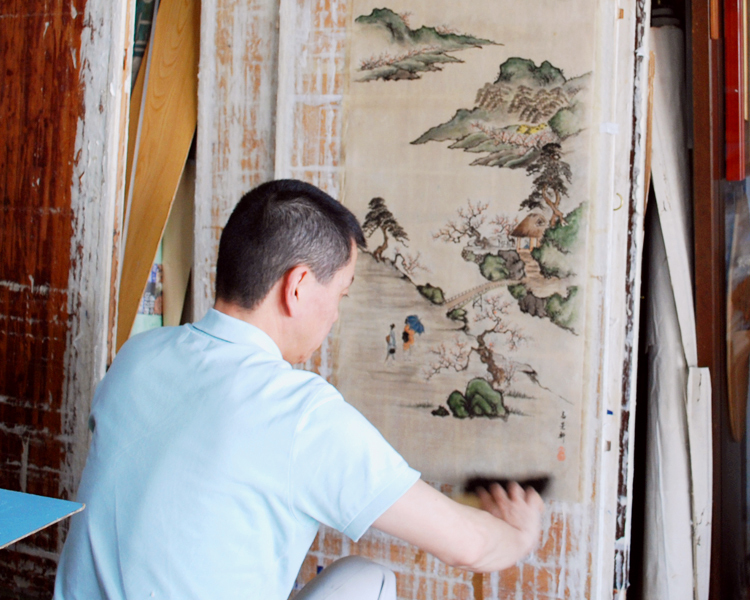 In our shop, we mainly deal with repairing old items such as hanging scrolls, folding screens, pictures and writings. 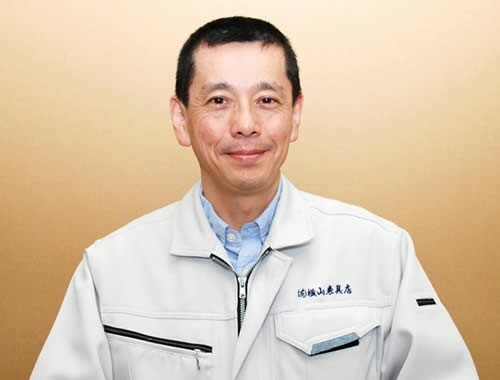 While sticking to traditional techniques, I am working hard every day. Please do not hesitate to consult us, thank you. We repair any broken or torn parts. Gloves are worn so as not to damage the delicate items. 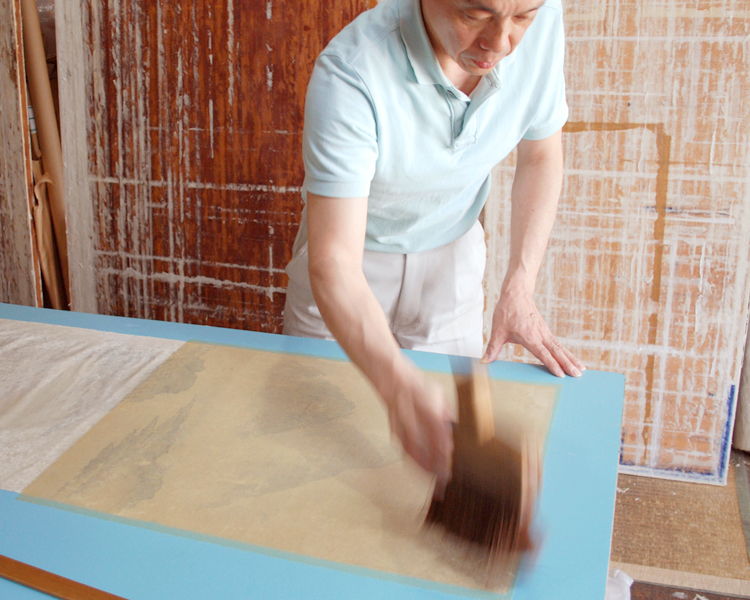 The glue is made with cooked bonito paste and dissolved in water to make a thin glue. 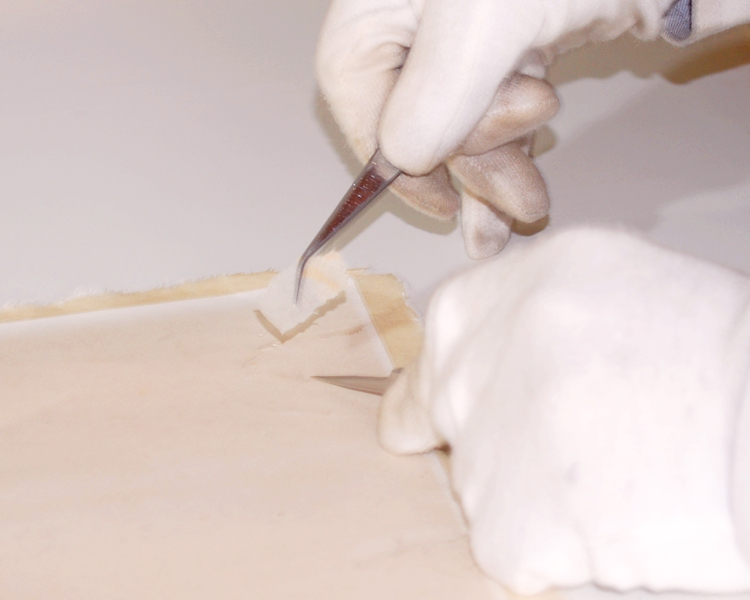 Gluing the paper to the backing. 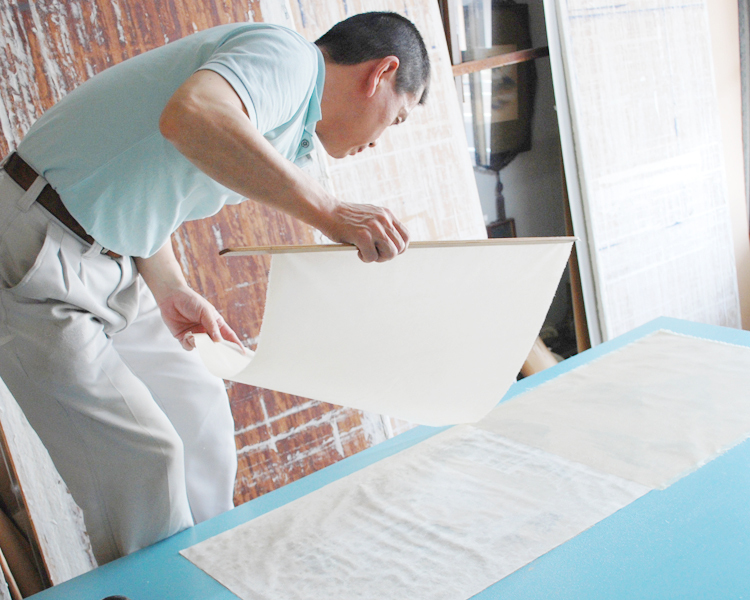 The paper for backing is hand-made paper. 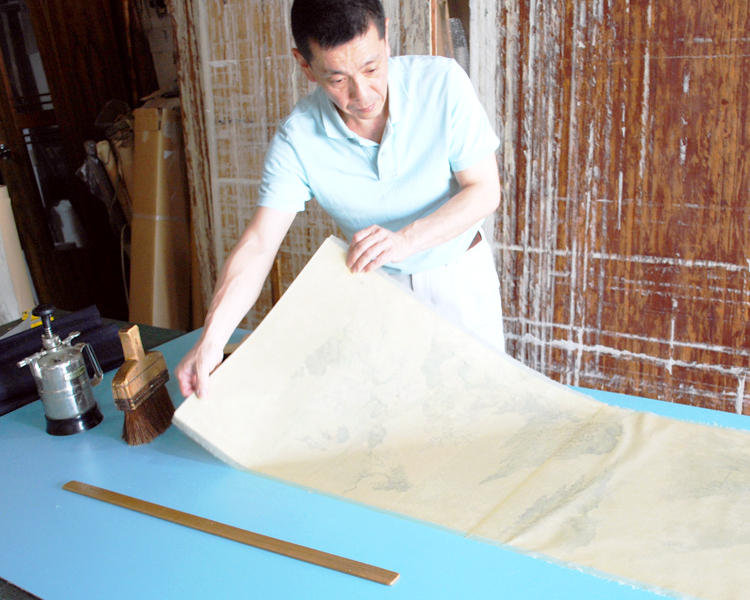 Putting the glue-lined paper on the scroll. 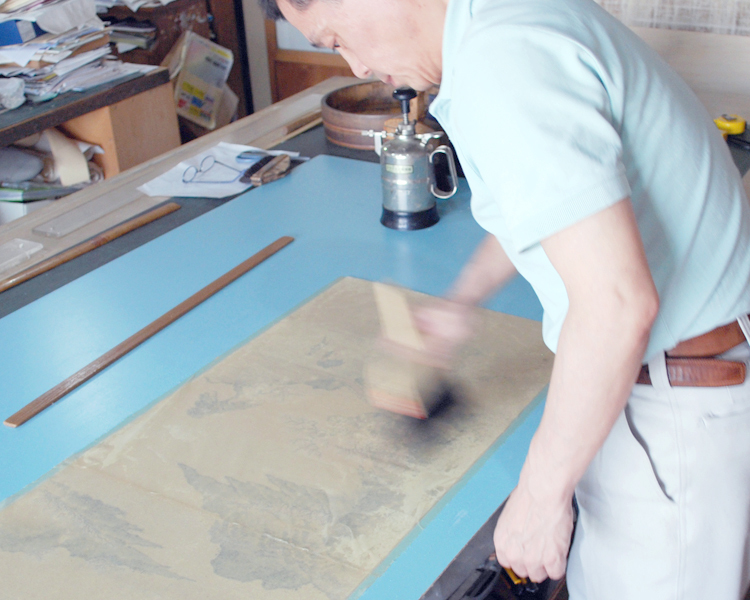 Attaching the picture and the backing paper while pressing hard with a special brush. 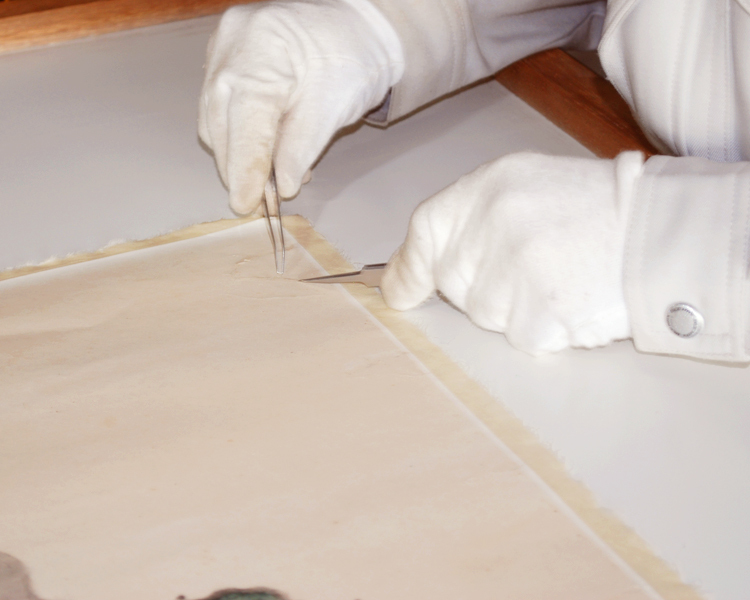 When connecting it to the paper, we carefully place it so that there is no gap and it does not overlap. 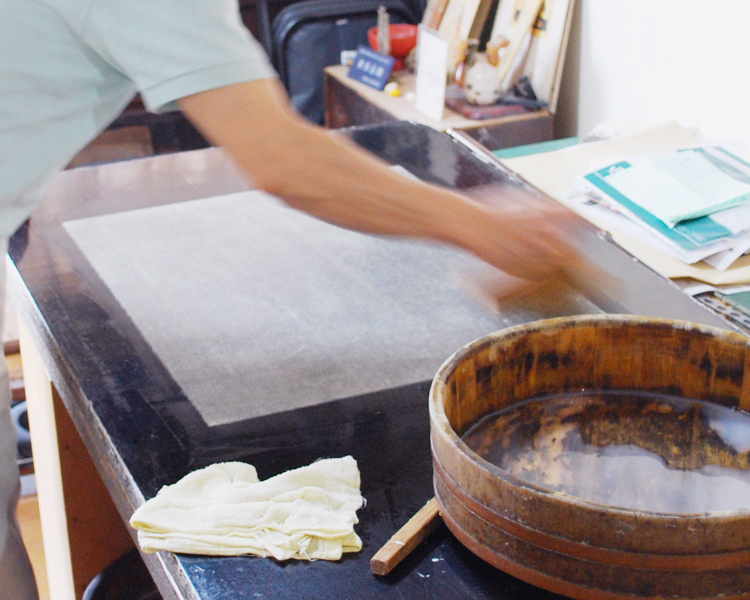 Just like before, pressing hard with the special brush. Pasting around the periphery of the work and lift it up. Putting it on a mounting board to dry.